The issue of stuff seems to be a popular one right now. 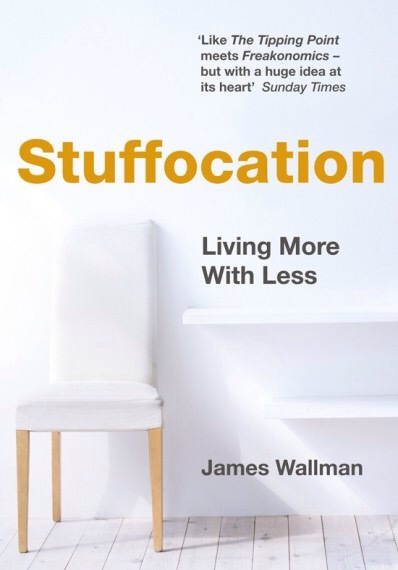 Not only is it the time of year to de-clutter our cupboards and minds but two books that came out last year are still being talked about now: Stuffocation by James Wallman, about excessive consumerism, and The Life Changing Method of Tidying by Marie Kondo, Japan’s expert declutterer who everyone seems to be quoting. I haven’t read either but I feel like I’m on a similar mission of mindfulness right now. Basically, I’ve always owned way too much stuff and it’s been bothering me for some time. I’ve always been a thrift lover, never one to miss a charity, vintage or second hand shop and always spotting a hidden treasure in a junkyard, brick a brack shop, sale or market. Between the ages of 15 and 17 I would quite often come home to tell my parents of yet another ‘amazing’ wardrobe or dressing table I’d just bought from our local charity shop and poor them, would have to make space for it in the garage. For longer than a decade I’ve collected fabulous things from these kind of places – never junk in my eyes, but usually something unique, unusual and always one off. I’ve never been attracted to designer handbags or glitzy high heels but I do find it hard to walk away from anything circa 1950s, 60s, 70s or 80s. But recently I decided to clear the clutter. No more 70s platforms I can’t walk in, no more 60s playsuits I can’t wear out. So I listened to friends tell me about Kondo’s book and the line where she tells you to ask yourself if an item ‘sparks joy’. This sounded great in theory but realised there was a flaw. 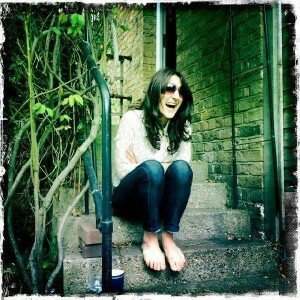 What if everything you own brings you joy? What if you love every bit of clutter you’ve collected? That’s the problem with people like me – all their stuff brings them joy! My new rule: ‘Does it bring me joy AND is it useful?’. I’ve finally decided I no longer want to hold on to so much stuff unless it’s useful. For example, there’s no point keeping a beautiful pair of vintage Ralph Lauren silk trousers (which bring me a lot of joy) if they’re too long and I can’t wear them. If they fail the useful test, they have to go! Having to tick both boxes definitely helps limit accumulation and aid elimination. With this rule in mind, recent edits and clear outs have been far more ruthless and extensive than they were a few years ago. My recent recent house move involved several harsh culls across from kitchenware to coats. I slashed everything down and it felt really really good. I’m no longer cluttered and there’s plenty of space in my new flat BUT that’s not a reason to start collecting, buying and owning again. I guess that’s where the mindfulness comes in – it’s being aware and connected to what’s in our lives, physically and mentally, and assessing our relationship with it. >> My aim this year is to get to the point where I’m not just a non-hoarder but, in an ideal world, I’d like to get to the point where I only own what I use. I want to own a curated collection of things, not everything. I realise it might be a tall order but there’s no harm in trying. There’s something cathartic about the notion of owning less. I’m looking forward to the feeling of lightness and simplicity. Of quality not quantity. I feel like this whole experiment (and I do see this as an experiment of sorts) could be a form of psychological and emotional release too. I appreciate this new attitude towards stuff jars with the super-charged commercial and highly materialistic world we live in but I’ve got to the point where I actually want to be free of it all. If I could halve what I own in the next six months I’ll consider it a success. In the meantime, I’m operating on a one-in-one-out basis which is an achievable way of keeping on top of things, especially good if you’re not quite ready for a complete cull. Let’s see if I am!